Serve with chips, crackers or toast points. Place bacon in a large, deep skillet. Cook over medium high heat until evenly brown and crisp. Drain on paper towels. 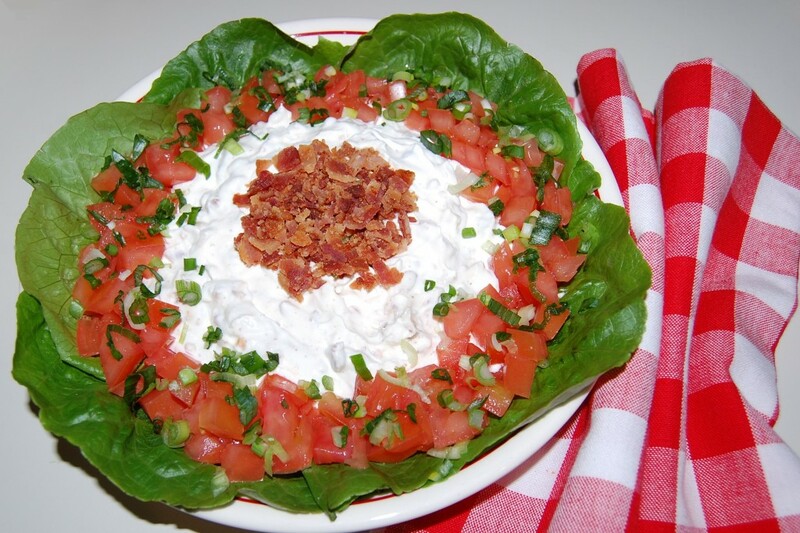 In a medium bowl, combine mayonnaise, sour cream, garlic, and salt and pepper to taste. Crumble bacon into the sour cream and mayonnaise mixture. Refrigerate for a couple of hours to allow the flavors to marry. Mix in tomatoes just before serving. 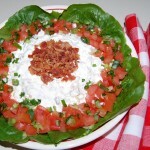 Serve over a bed of lettuce leaves and garnish with chopped green onions and tomatoes.